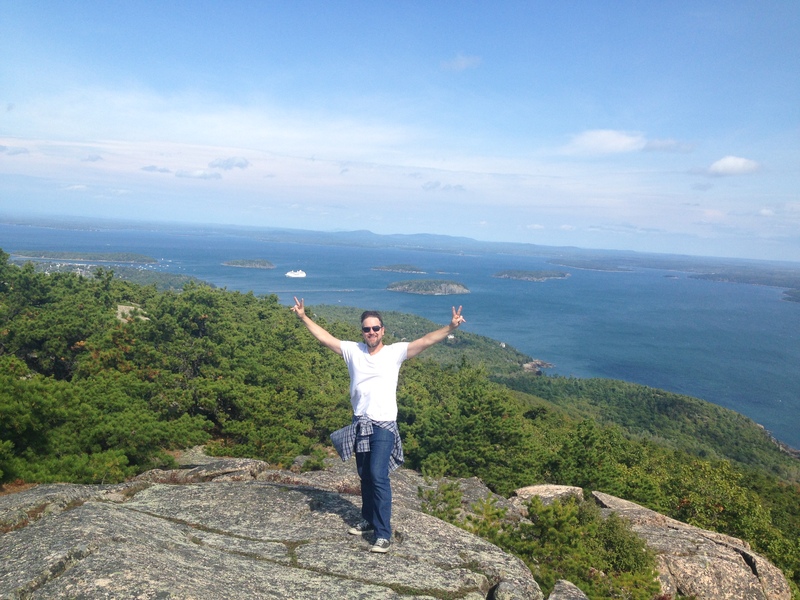 Throughout our travels, we’d met numerous people who raved about Acadia National Park, and National Parks have been some of our favorite places to visit on our RV trip. Thinking about taking an RV to check out some National Parks? 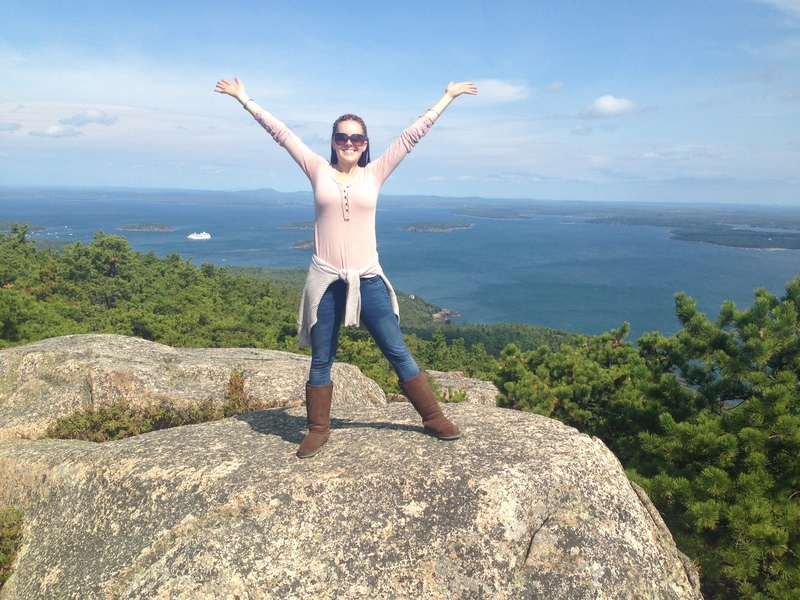 You can take one out to Acadia NP with a National Park RV Rental! 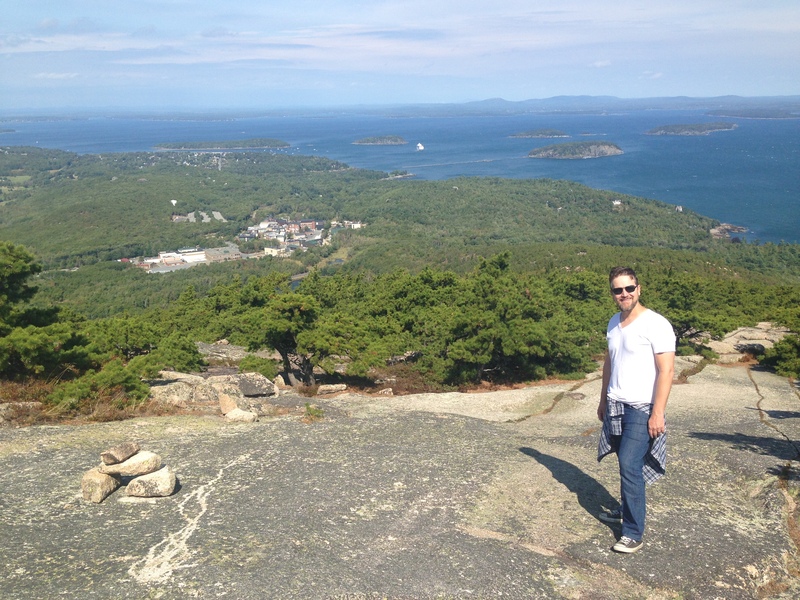 Quite a few of the National Parks had exceeded our expectations exponentially, and we were hoping Acadia would as well. 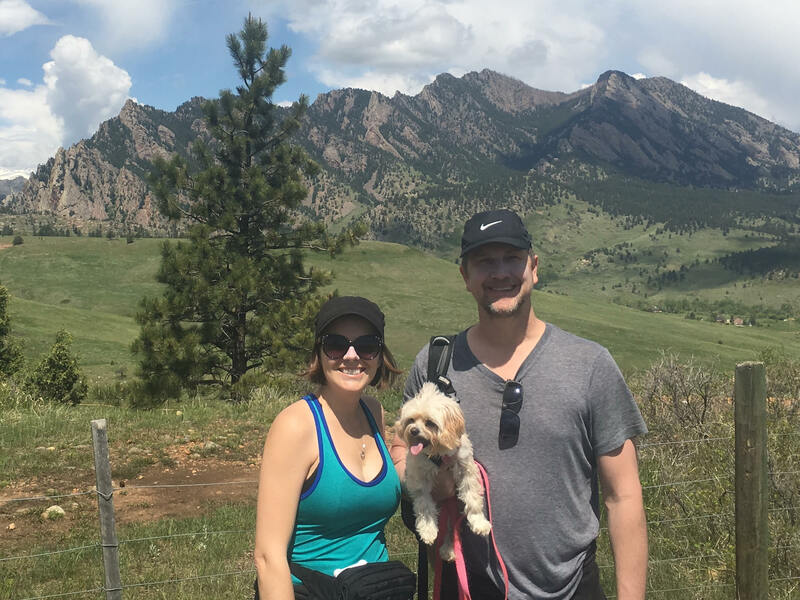 We hadn’t done a real hike since we were in Utah and knew we were due for one. 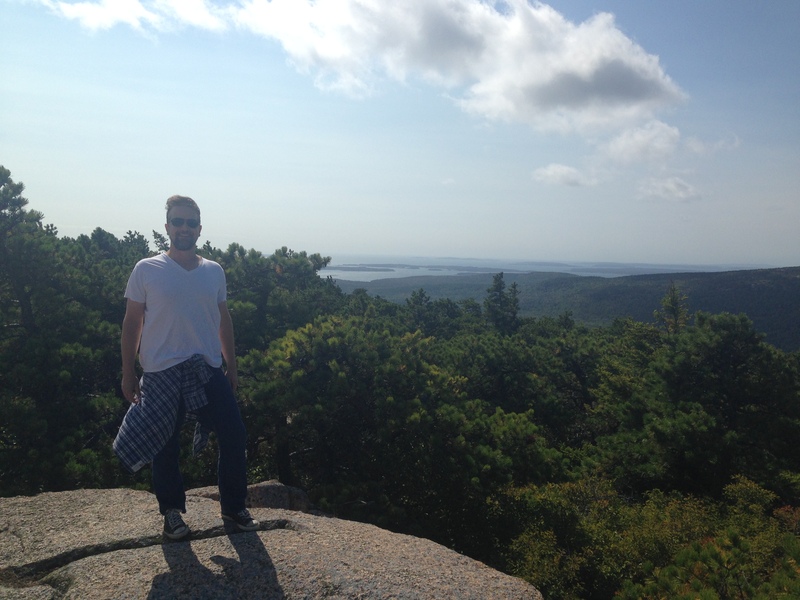 Prior to reaching Acadia National Park this morning, Justin looked up hikes there and chose the Precipice Trail. 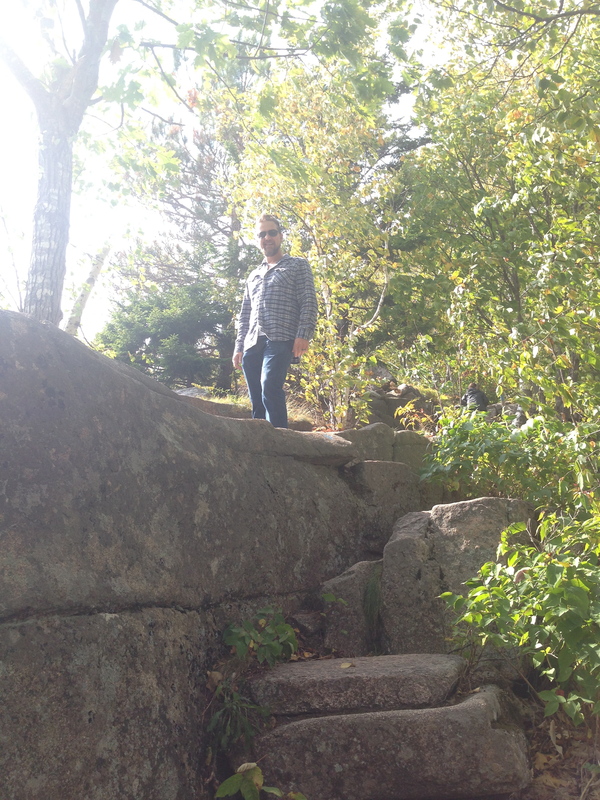 He said it had a ladder and looked incredible, so I agreed to do the trail without asking any other questions. That’s the last time I leave Justin to research activities and take his word for it without checking myself! 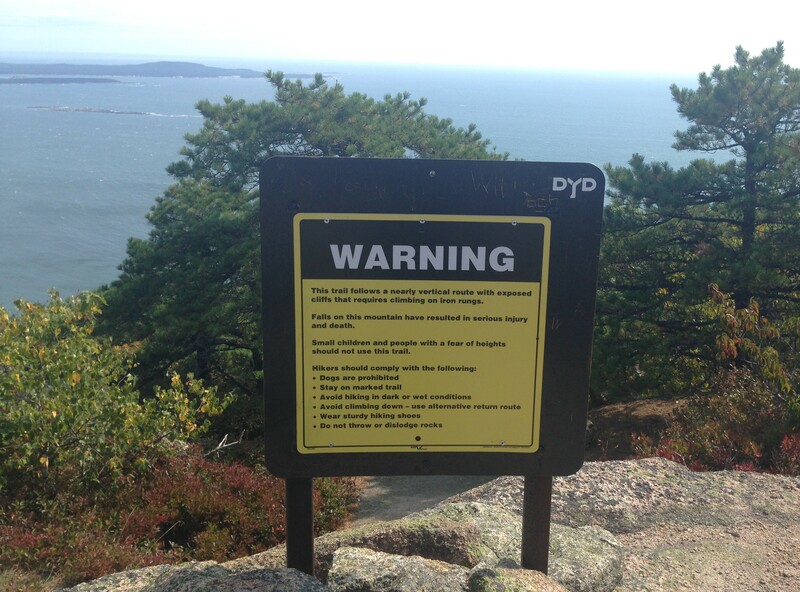 Then again, I did see the warning sign at the base of the trail and still hiked on thinking it must just be slightly dramatic. 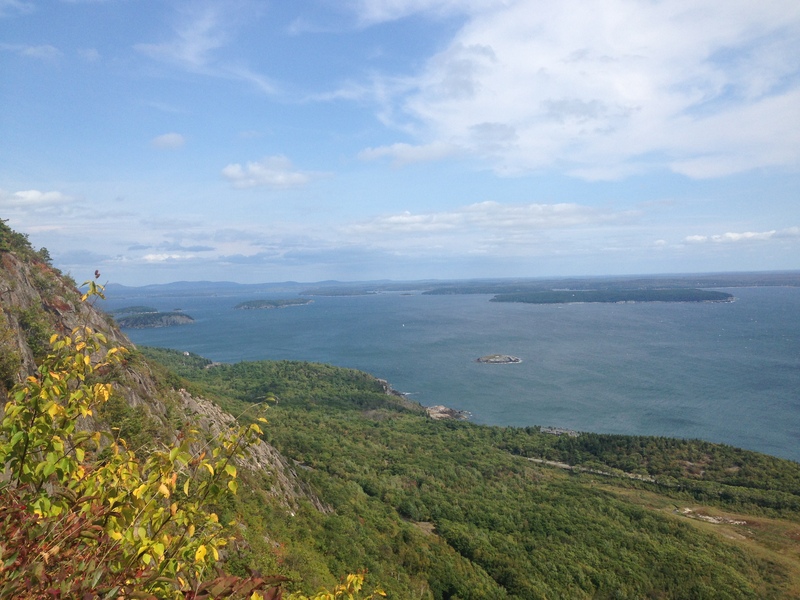 The 0.9-mile Precipice Trail up 930 feet to the summit of Champlain Mountain took us approximately 1.5 hours. This seemed like a ridiculously long time for the distance. 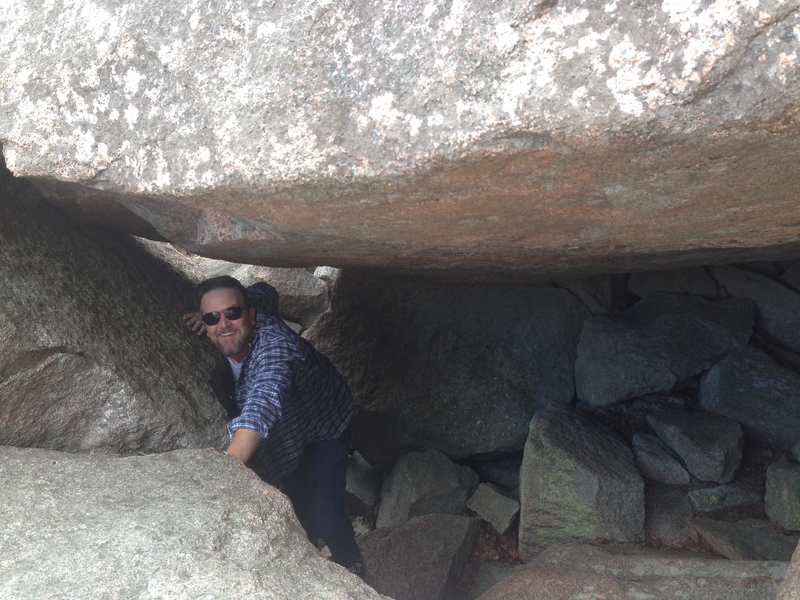 In those 90 minutes, we had to crawl under, over and through boulders. 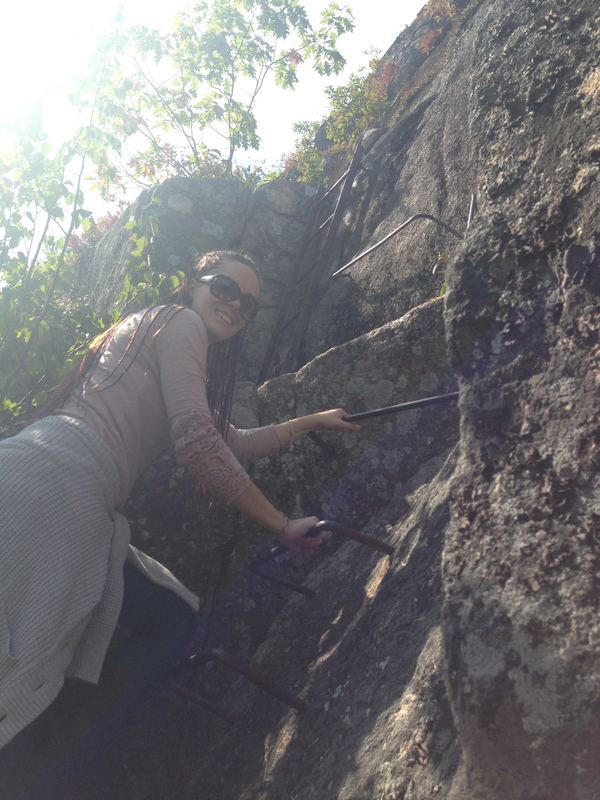 We then came upon a cliff with a makeshift handrail to cling to as we walked on the narrow rock. Next, we had to cross a rickety wooden bridge connecting two sections of the mountain divided by a deep crevice in the stone. The bridge also had the same type of handrail. 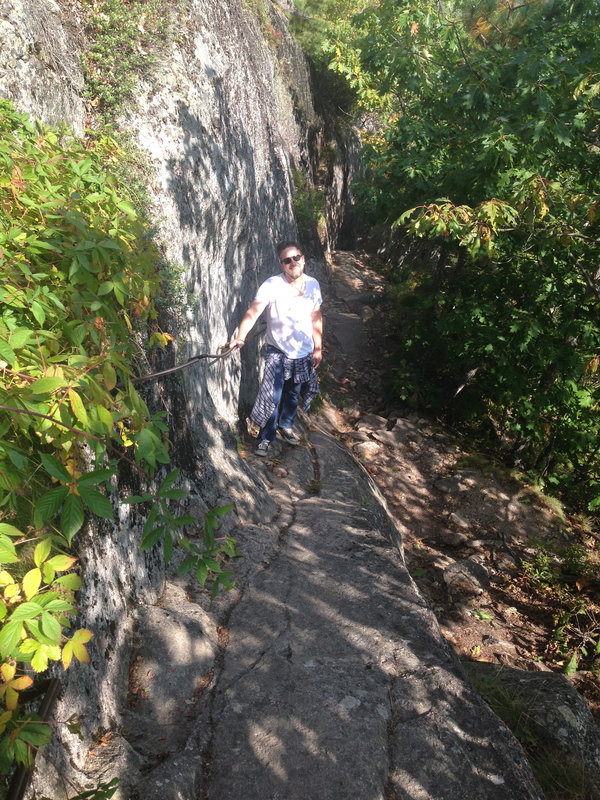 The thin metal cord was the only thing between us and a steep drop-off on the other side. 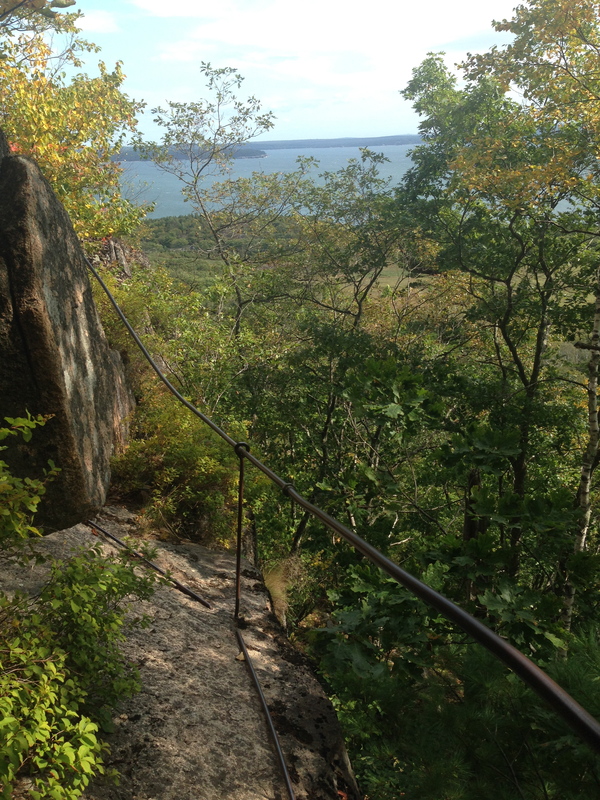 There were several more handrails along the trail to grip as we scaled the slippery face of the mountain. Just when we thought the hard part was over, the challenge reached an entirely different level. It appeared as though we had arrived at the precipice of the precipice. At several points along the way, we didn’t think we could continue climbing up. 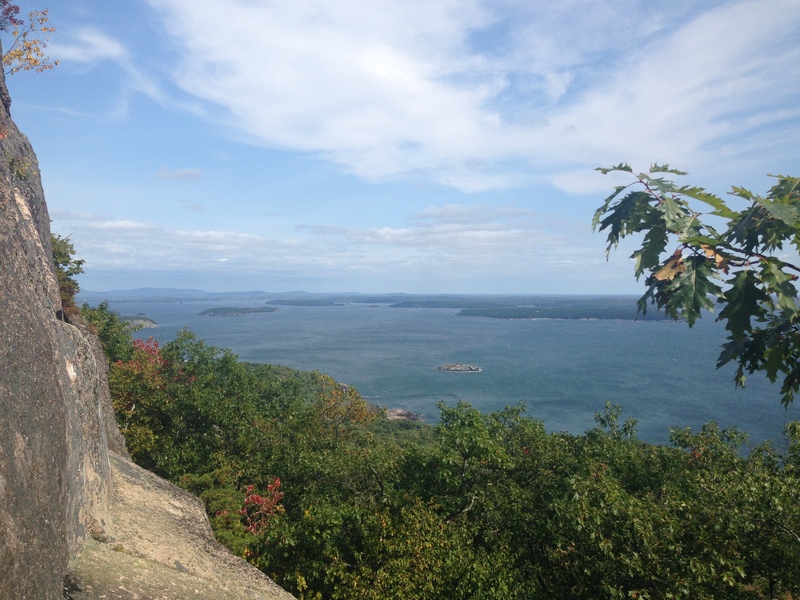 But as we considered giving up and hiking back down, we realized that it was just as treacherous to climb down as it was to go up. We had no choice but to keep pressing forward. However, it was so intense, that we waited for some more hikers to come along so we could assess the situation as they hiked on ahead of us. 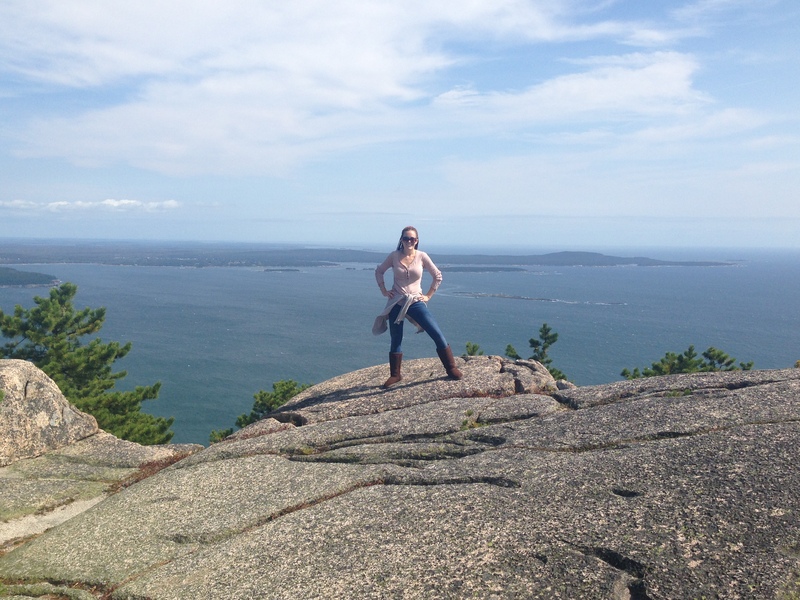 They also had hiking boots on whereas we were rocking Converse sneakers and Ugg boots. 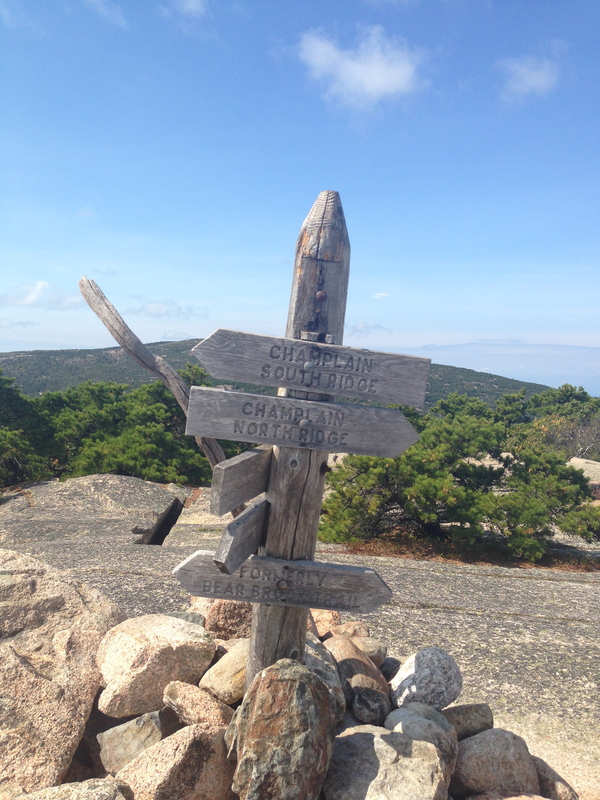 There was a fork in the trail, and the other hikers took the left route. We followed them since they had a map of the trail and seemed to know where they were going. 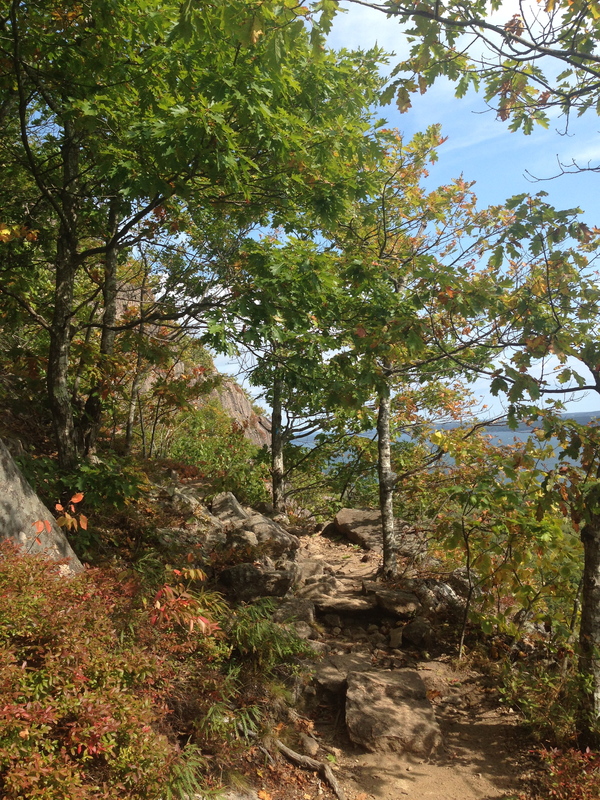 Some sections of the trail were difficult to distinguish, and the only markings were strips of blue paint on the rocks. The blue trail markers were comforting as they guided the way and prevented us from becoming stranded on a random cliff. However, it turns out that we ended up going the hard way. 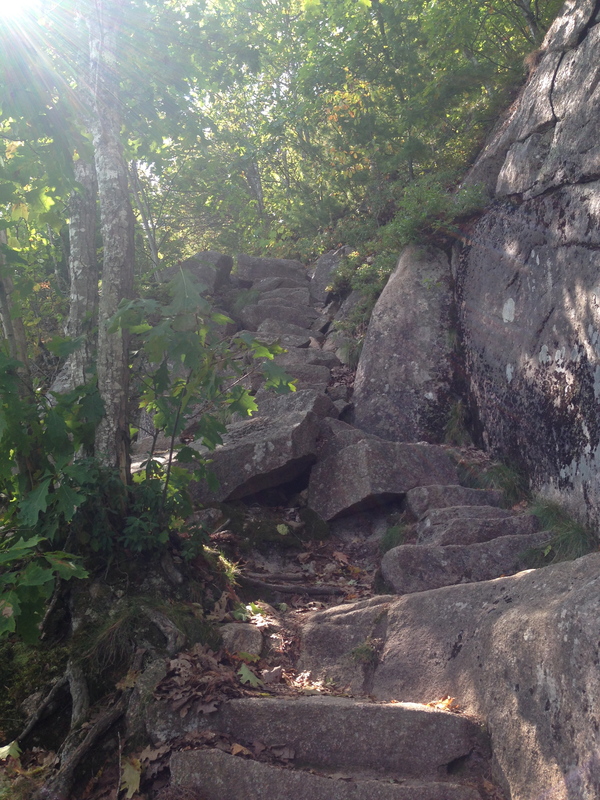 We later found out that the trail to the right was the easier route. Oh well. We like a challenge! 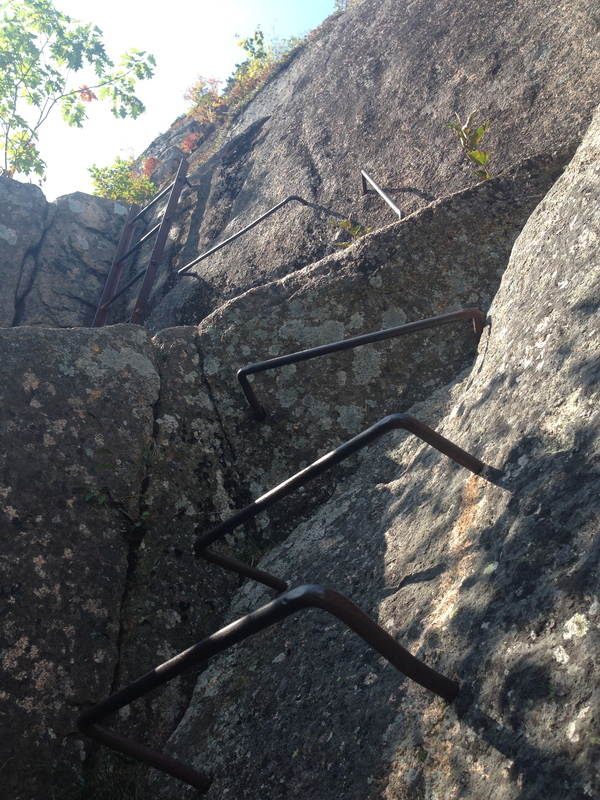 The scariest part was the ladder and metal rungs jutting out from the rock at a 90-degree angle. 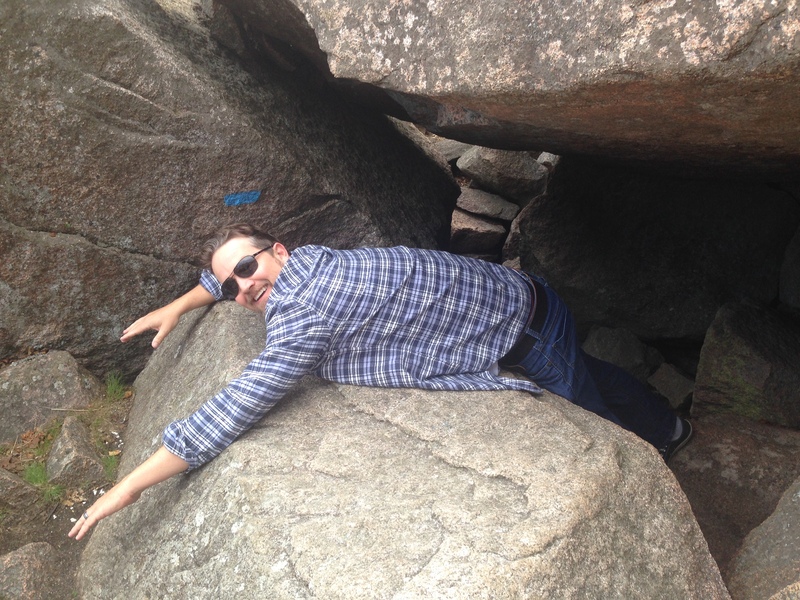 If you slipped or lost your grip as you dangled on the side of the mountain during the steep climb, there was nothing preventing you from plummeting to your death. 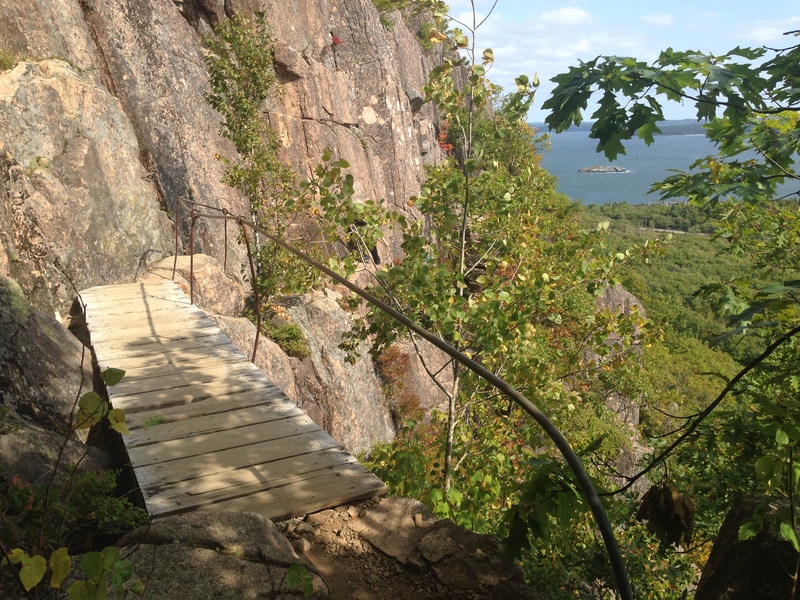 While on the skinny cliff between different areas of the vertical trail, someone had mentioned to us that unfortunately, that had happened to someone in the past. This news only added to our angst. 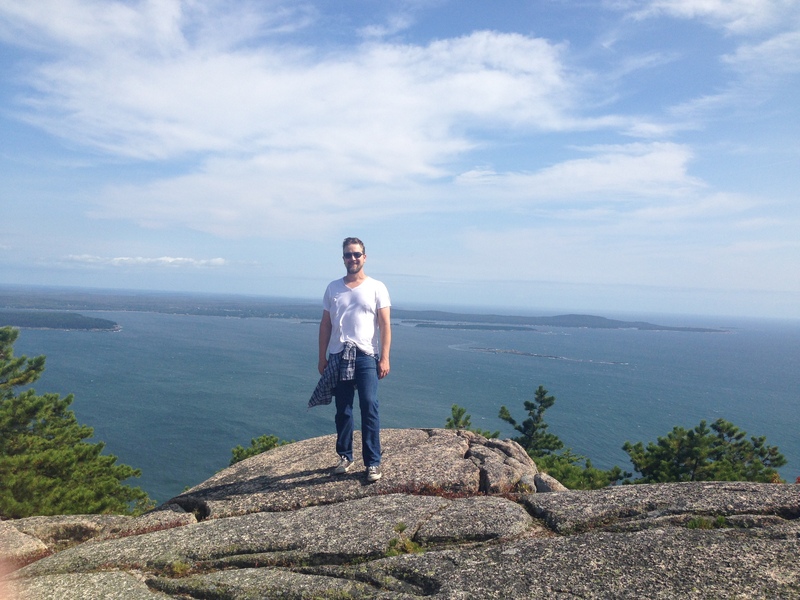 Nevertheless, 3 parts sheer terror plus 2 parts exhilaration added to 1 part exercise equals a fantastic hiking cocktail. 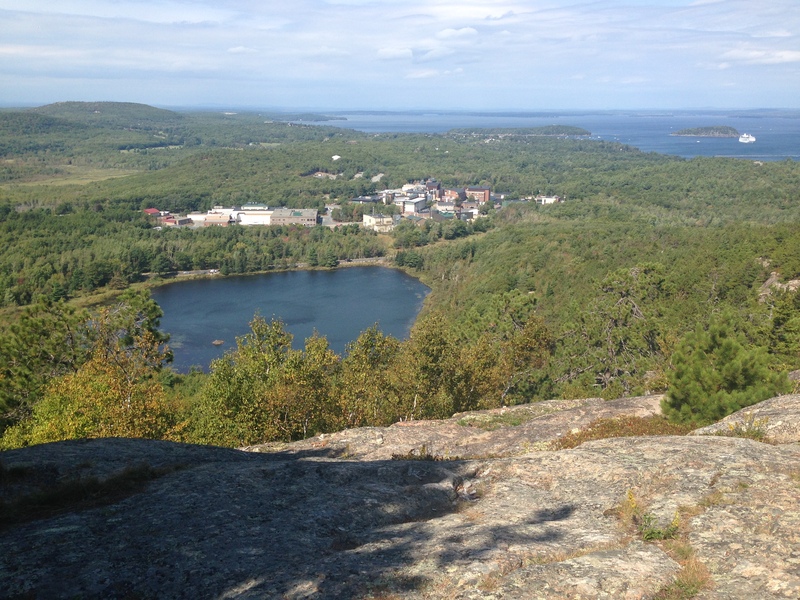 With our hearts pounding and our sweaty palms gripping the metal rods for dear life, we finally reached the top of Champlain Mountain. Once at the summit, we were overcome by sheer relief that we had survived and actually finished the trail (in our horrible shoes no less). We also felt an intense sense of pride and accomplishment to the core. It truly felt like a monumental achievement. 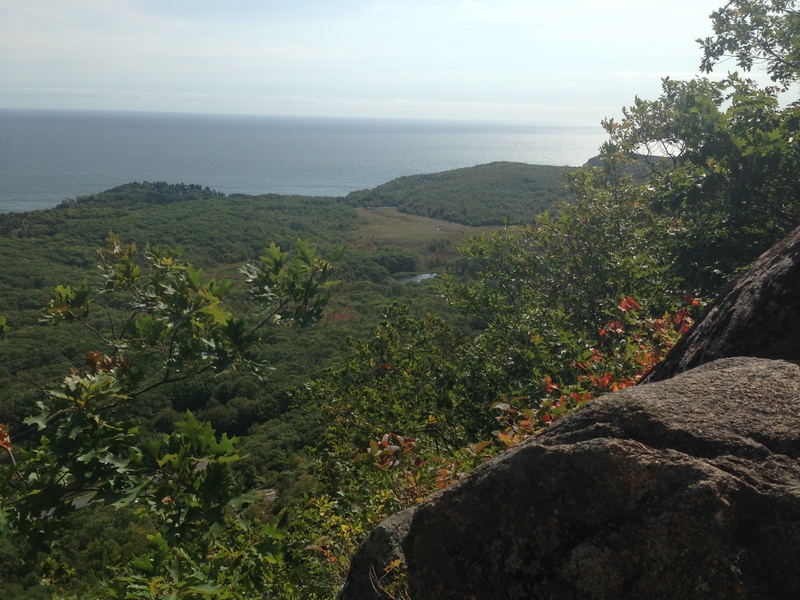 Hiking the Precipice Trail was the scariest, most nerve-wracking, exhilarating, dangerous, challenging thing we’ve ever done. But it was incredibly rewarding and completely worth the terror! 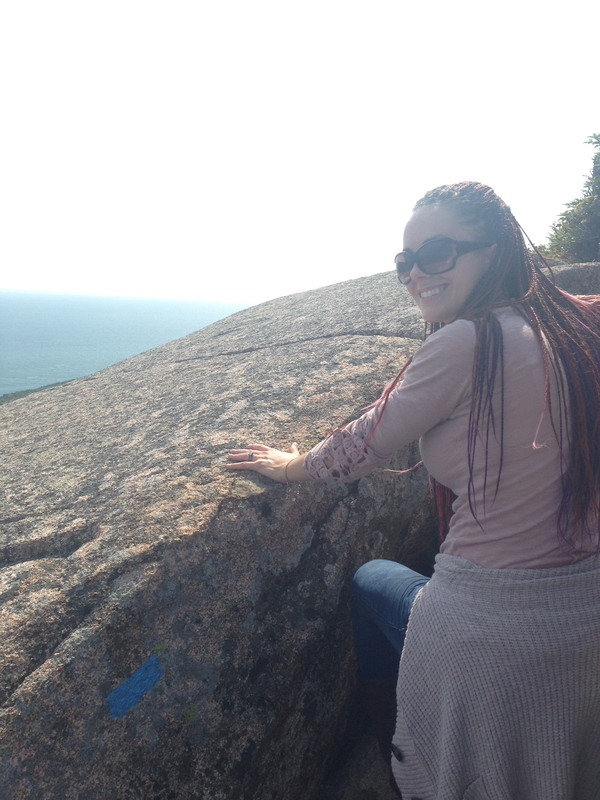 While gazing below and gauging the distance we had ascended, we were in awe of the panoramic views of the ocean from the peak of the mountain. As other people made it to the top, we all celebrated our victories together and congratulated the newcomers as they approached. There was definitely a camaraderie between everyone who had struggled with the trail and conquered it. Once we realized we could release the breath we had been holding throughout the entire hike, we descended by way of the easier route. 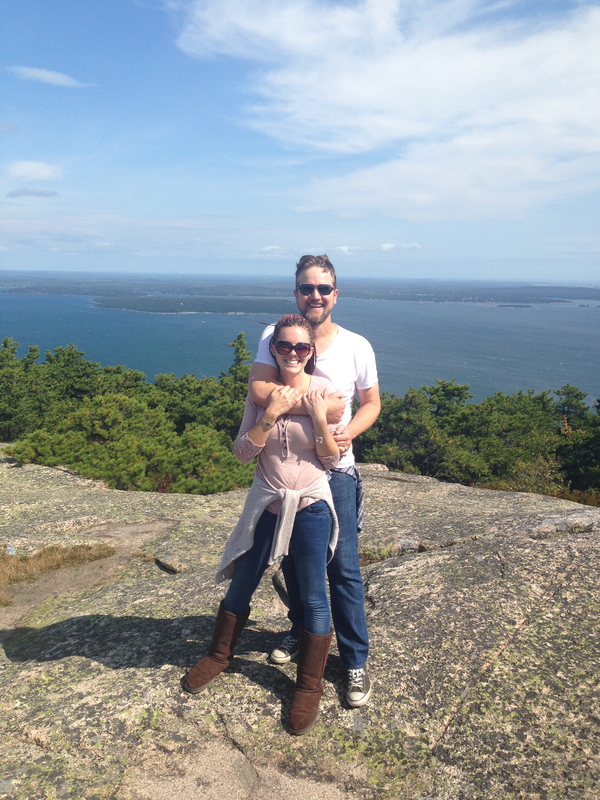 We hiked down with a few of the couples we had met along the trail and met back up with at the top. By the time we reached the parking lot, we were sore and exhausted. 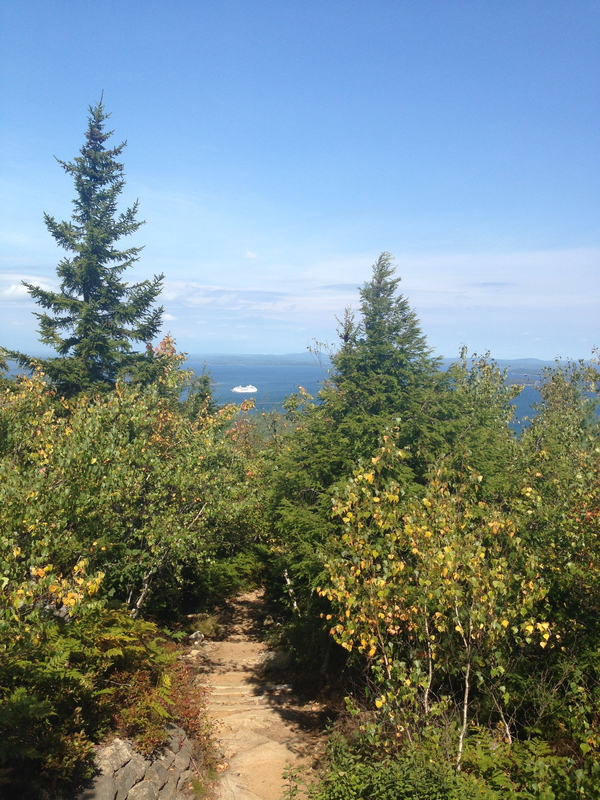 We had arrived at the trail unprepared thinking it would be a fairly short, easy hike. While everyone else seemed to be wearing hiking boots, Justin had on Converse tennis shoes with worn-out soles, and I was wearing Ugg boots which had zero grip. Our poor choice in shoes wasn’t even close to proper hiking boots. One of the hikers was completely taken aback by our footwear and dazzled that we could hike such a difficult trail in them. He ended up taking a photo of us in our shoes and said he was going to post it on Facebook. 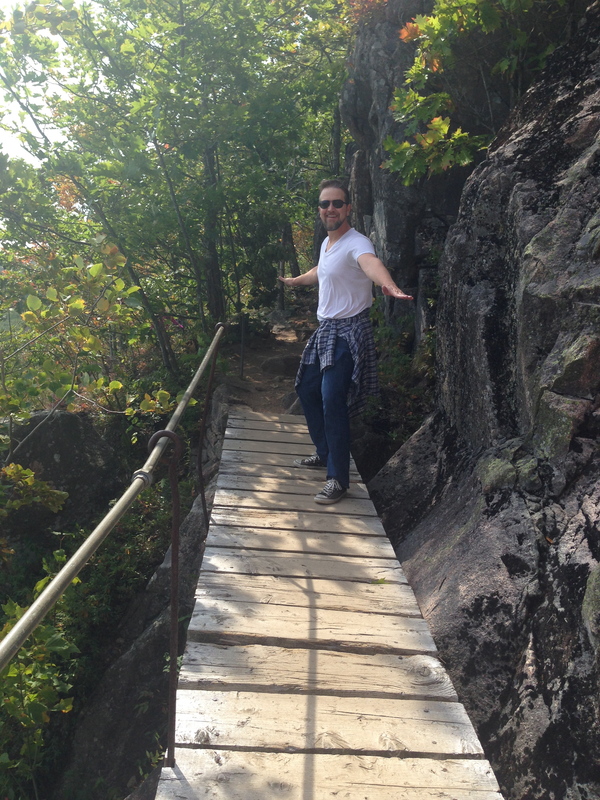 To be honest, we were also shocked and relieved that we were actually able to complete the trail in our attire. 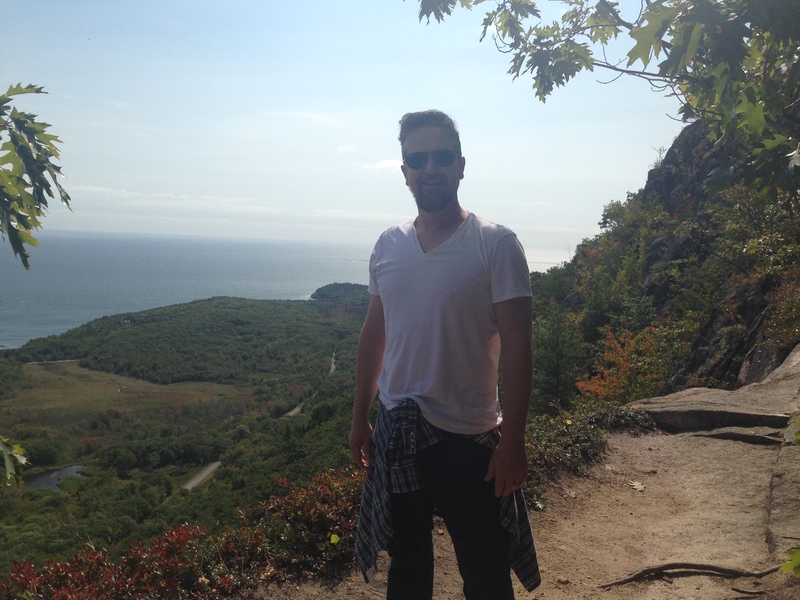 For anyone planning on hiking the Precipice Trail, I highly recommend wearing proper shoes and hiking gear! Gloves would be handy as well for a better grip on the iron rods. Also, bring lots of water. It’s a workout! 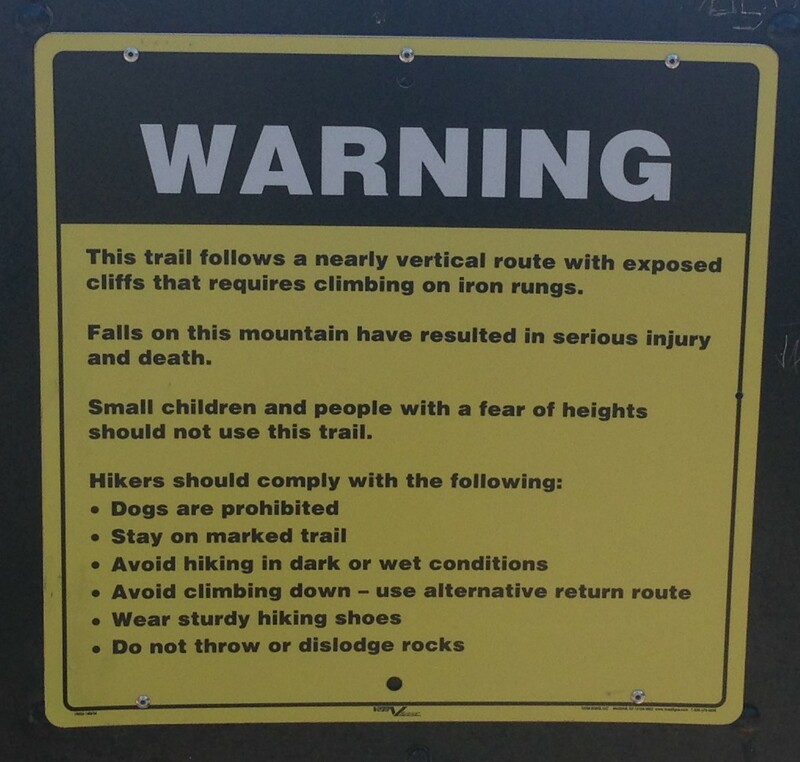 Be forewarned though, the trail is not for the faint of heart or for those with a fear of heights. If you can brave it though, it’s a life-changing must-do. Add it to your bucket list! Once we made it back to the truck, we continued driving through the park. 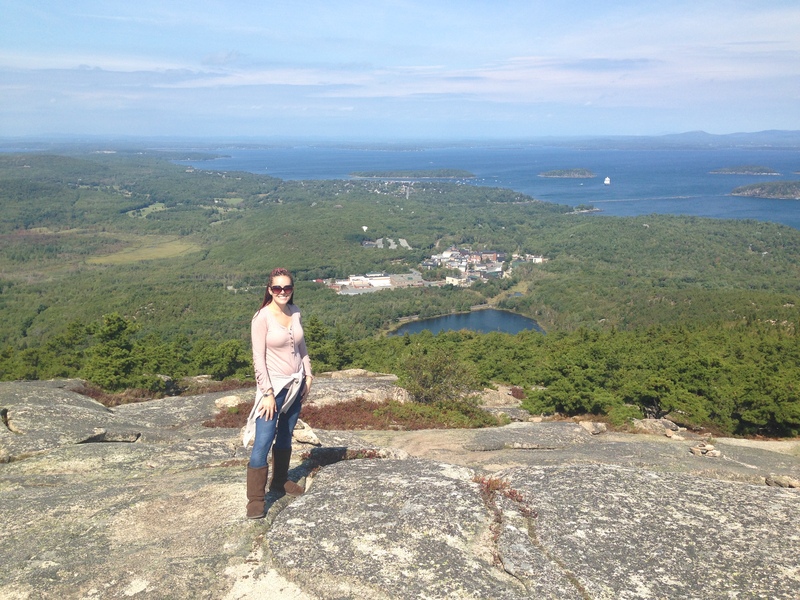 Our first stop along the route was Schooner Lookout where we appreciated views of the rocky, jagged coastline. 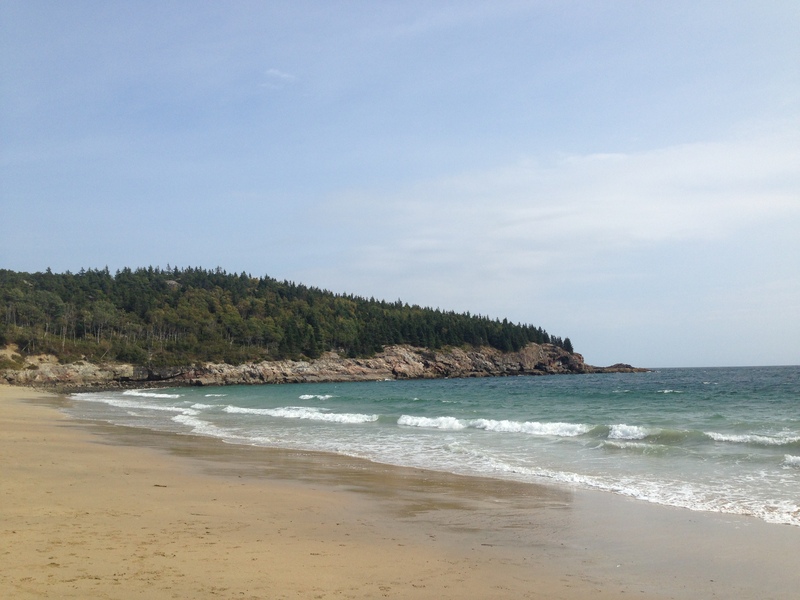 Next was Sand Beach, which lived up to its name with a wide stretch of sandy beach. 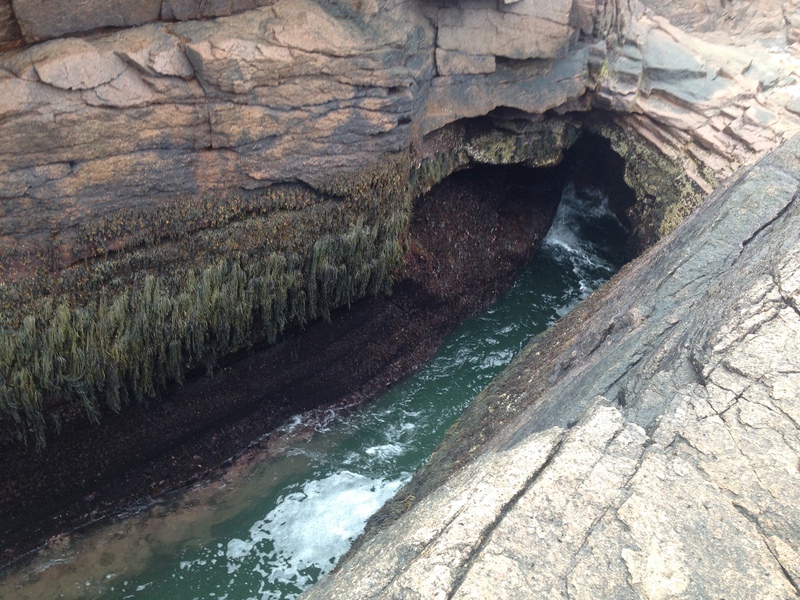 We then visited Thunder Hole. Water gushed through the long crevice in the rock, crashing into a deep cavity with a thunderous roar. 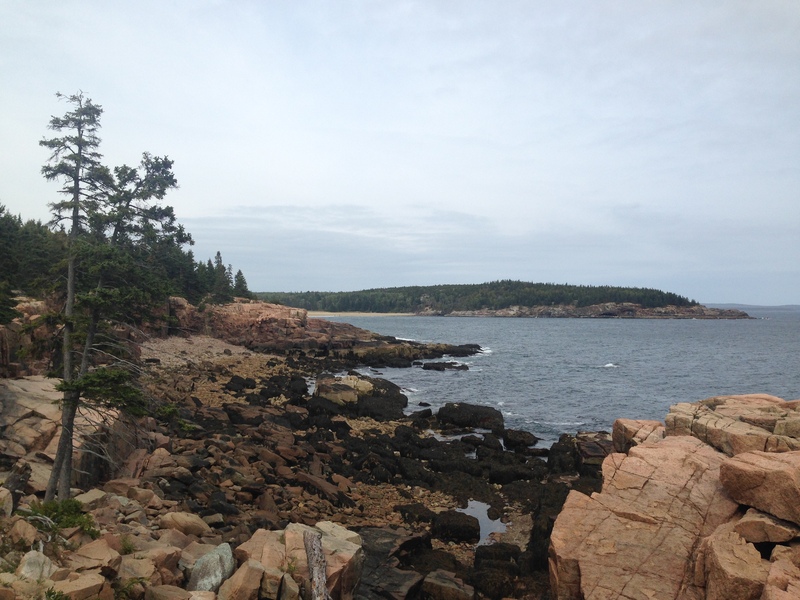 Lastly, we stopped at Otter Cliffs. Sadly we didn’t see any otters as the name would suggest, but there were more views of the coast and the Atlantic Ocean. 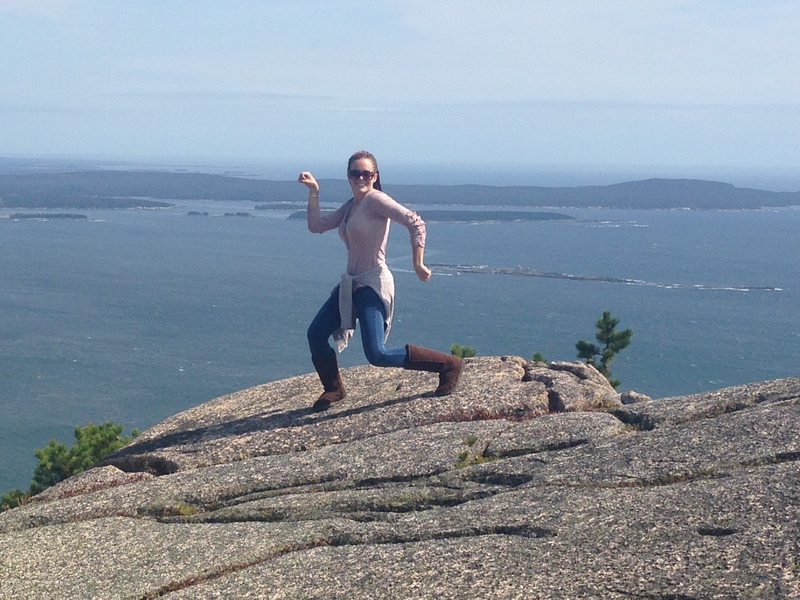 Despite all of the lookouts and landmarks, the Precipice Trail was the absolute best part of Acadia National Park! 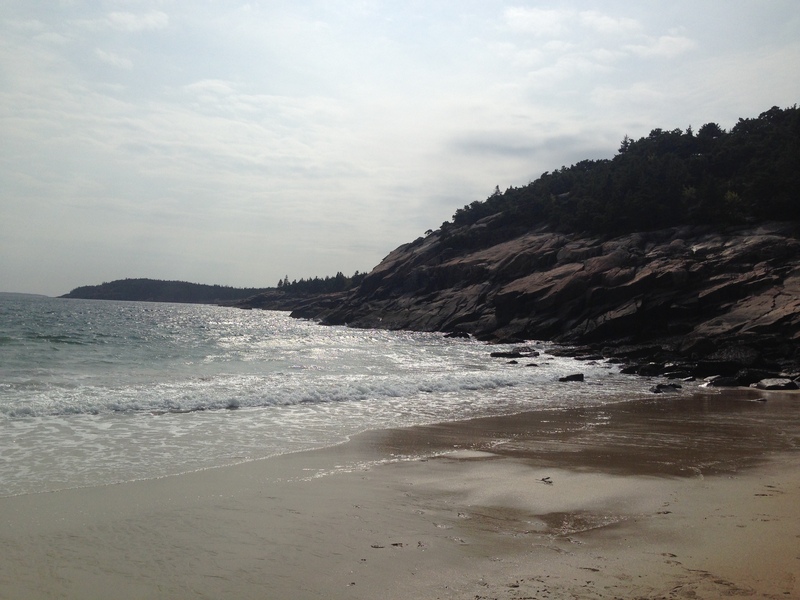 After the taxing hike and spending the day in Acadia, we had really worked up an appetite. We needed another lobster roll to satisfy our hunger! 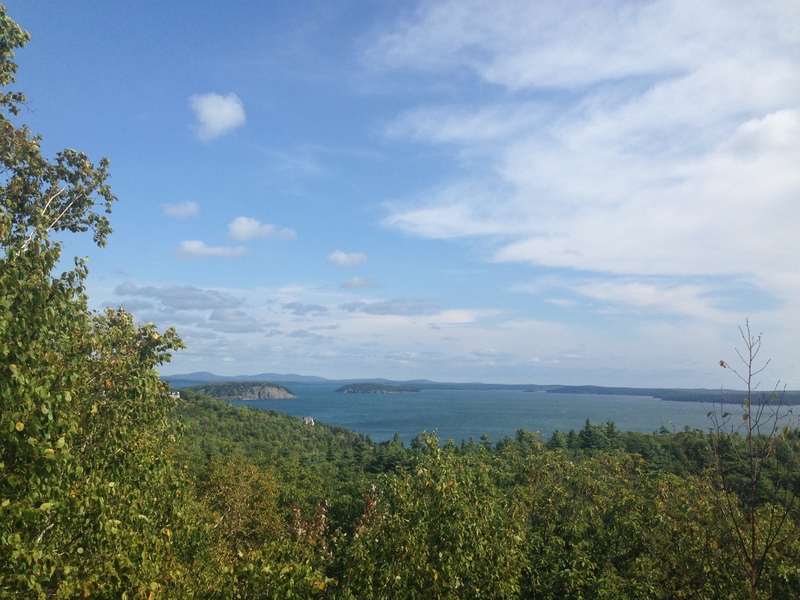 Upon exiting the park, we headed straight into Bar Harbor and had dinner at the Dog & Pony Tavern. We each had a lobster roll with lobster bisque and tater tots. This lobster roll had lettuce and good flavor. Plus it was also better and cheaper than the lobster roll we had last night! With his first bite of the lobster roll, Justin’s eyes rolled back into his head like a Great White Shark biting its prey. Aren’t you guys driving around in lots of snow now? We’re a couple of months behind on the blog. 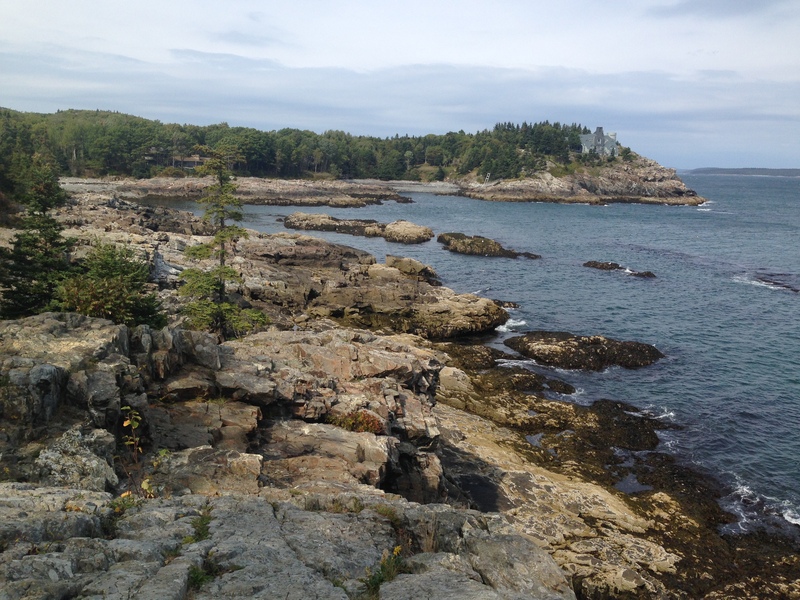 We were in Maine back in September, so luckily we were able to avoid the snow.